Facebook have been making a number of changes to the way it displays its adverts recently with the launch of multi product ads and changing the sizes of it Right-Hand Column Ad images. 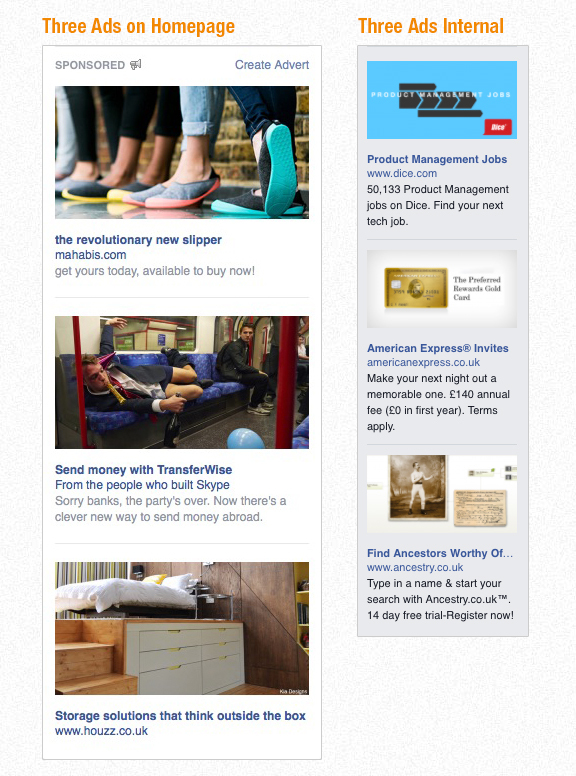 As of today Facebook are now displaying Three Right-Hand Column adverts instead of the usual Two. Facebook has presumably made the change to increase their ad revenue, as serving three ads will yield more income than two. I suspect this change will also help advertisers as it “should” increase impressions while also keep advertising costs lower as the increased ad real estate will mean less competition for ad spots. It isn’t all good news however, as this also means that you are now competing with an additional advert for that all important Click-Through.